Looking for Agmatine Sulfate Capsules ? Agmatine is a molecule derived from L-arginine through the process of decarboxylation. Decarboxylation results in the removal of a particular carboxylic acid. Agmatine is a neurotransmitter and helps in protecting the brain from the buildup of toxins. This nootropic is mostly used to help enhance brain function and improve cognition. It also is claimed to help reduce neuropathic pain, though there is not much research evidence for the same and it is still unclear as to how it works regarding the purported benefits. The molecule is naturally found in foods such as beef, chocolate, soy sauce and mussels but can also be artificially manufactured. Agmatine is available over the counter and is readily available as a supplement. It is often used to heighten brain function, and is also used to help in reducing anxiety and related effects. Agmatine is usually listed as “Agmatine sulfate” on most commercial supplements. The compound, Agmatine, is thought to work in many different ways. Firstly, it is believed to inhibit n-methyl-D-aspartate and nicotinic acetylcholine receptors as also imidazoline receptors. It has also been shown to inhibit nitric oxide synthase enzymes that allow it to curb the amount of nitric oxide in the brain. Agmatine can also help in inhibiting calcium channels. As such it could enhance the release of serotonin in the brain making it ideal to improve brain function and leave a person feeling happy. The bioavailability of this supplement is quite high as it readily crosses the blood-brain barrier. Agmatine travels to the brain and helps in improving the neurotransmitter function to a certain extent. As is the case with most other nootropics, it remains in the system for a few hours after consumption. Scientists are still not sure whether it is an inhibitor or a precursor to the release of certain compounds in the brain but are clear of the positive effects it has on the mind. This nootropic is mainly used to help with sports injuries. It is said to help in protecting the body during workouts and assist with diminishing pain sensitivity. It helps muscles to recover during and after a workout session. 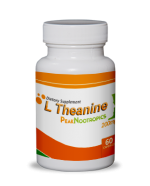 This powerful supplement is used to monitor hormones and enhances their function in the body. Hormones are chiefly responsible for maintaining healthy body function and can be tricky to balance. Agmatine helps in improving their activity and contributes to keeping them healthy. Agmatine helps in enhancing endurance. Many athletes and bodybuilders consume the supplement to help them last longer in the gym. It can be consumed 30 minutes before a workout to increase its effects on the body. This molecule is also an anti-oxidant that helps in fighting away free radicals to a large extent. With regular use, you will be able to develop a durable body that is high in immunity. As is the case with other nootropics, Agmatine helps in utilizing brain capacity, thereby better preparing an athlete to combat tough situations. As you know, it is quite important to be mentally ready to partake in athletic competitions, and that is made possible through the consumption of Agmatine. Agmatine is believed to help with kidney function. Regular usage can assist in keeping the kidneys clean and enhance their purpose. The compounds in Agmatine help to reduce the effects of people feeling the blues to a certain extent as well. The supplement is said to cause gastrointestinal disturbances. Having these disturbances means that you might suffer from gastric issues and have to stop consumption of the supplement temporarily. You can also consider reducing the dose of the supplement until you feel well again. Agmatine is also said to lower pain threshold. Those that consumed Agmatine sulfate on a regular basis experienced greater pain than those that consumed other nootropics. Some people have complained of experiencing increased appetite, which can lead to weight gain. But there is no conclusive evidence to prove this statement. The supplement has not been tested at high doses thereby limiting knowledge of its effect on the body. 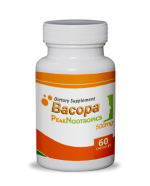 The dosage for this supplement varies from person to person depending on their body type. Here is a chart depicting the ideal dosage for different weights. It is best to stick to this recommendation to take full advantage of the total benefits of this nootropic. The supplement can be recommended to people looking to develop a lean body. Agmatine is possibly the number 1 bodybuilding supplement in the world and can be sold under different names. Agmatine is available as a powder supplement and mostly used by athletes and body builders to build powerful and lean bodies. You can consume it on a regular basis to improve your body’s capacity to develop strong muscles. 212 queries in 1.754 seconds.